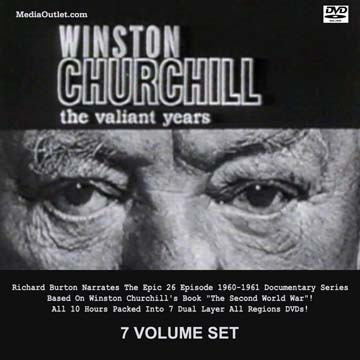 Well-cast leads in “Churchill: The Wilderness Years” (1981). 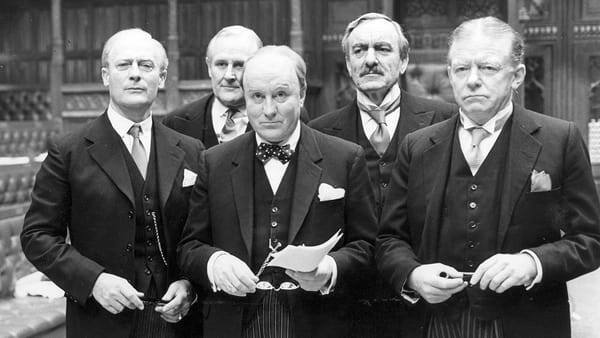 L-R: Edward Woodward (Sir Samuel Hoare), Peter Vaughan (Sir Thomas Inskip), Robert Hardy (Winston Churchill), Eric Porter (Neville Chamberlain), Peter Barkworth (Stanley Baldwin). “The Trou­ble with the Movies” was pub­lished in the Amer­i­can Thinker, 5 August 2017.